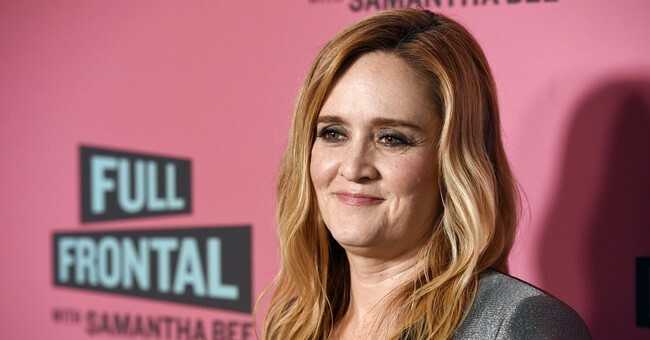 Samantha Bee, host of “Full Frontal,” has criticized the new pro-life film “Unplanned”, which made a surprisingly impressive debut at the box office last weekend. Bee was referring to a tweet posted by Vice President Mike Pence earlier this week, which had celebrated the film’s release. “This is incredibly embarrassing, especially when you factor in how low our bar is for vice presidents right now,” Bee said. This time the TBS star was speaking in reference to the allegations of improper physical contact that at least seven women have now made against former Vice President Joe Biden. Bee went on to note that “Unplanned” had sold more than 700,000 tickets, and joked that most of them were sold to “Duggars,” stars of the reality series "19 Kids and Counting." Bee also called the pro-life film “mostly made-up,” unlike the “real and terrifying laws” that are being passed in certain states, such as Georgia’s recently passed “heartbeat” bill that outlaws abortion once a heartbeat can be detected. The film “Unplanned” is based on the memoir of the same name by Abby Johnson, which tells the story of Johnson working as a Planned Parenthood clinic director until, compelled by the brutality of abortion, she finally decided to walk away. “Until the day she saw something that changed everything, leading Abby Johnson to join her former enemies at 40 Days For Life, and become one of the most ardent pro-life speakers in America,” it continues.